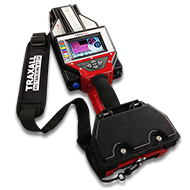 CDI's five TRAXALL receiver models can detect and record pig passages in 3 different ways: by using industry-standard 22Hz transmitters manufactured by CDI or others, by using one of CDI's color-coded and frequency-adjustable transmitters, or by detecting MFL magnetizers without the use of a transmitter. 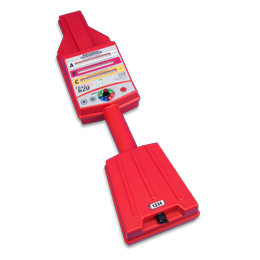 Lowest cost, durable and accurate tracking of 22Hz industry-standard transmitters in	one	uni-body	package. Low cost, durable and accurate tracking of two frequencies of transmitters in addition to industry standard 22Hz transmitters in	one	uni-body	package. 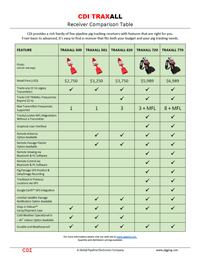 CDI provides a rich family of five land-based pipeline pig tracking receivers with features that are right for you. Use this handy comparison table to find out which one fits your needs! GPS tracking of two frequencies of transmitters in addition to industry standard 22Hz transmitters and track MFL magnetizers	in	one	uni-body	package. GPS tracking of seven frequencies of transmitters in addition to industry standard 22Hz transmitters and track MFL magnetizers	in	one	uni-body	package. 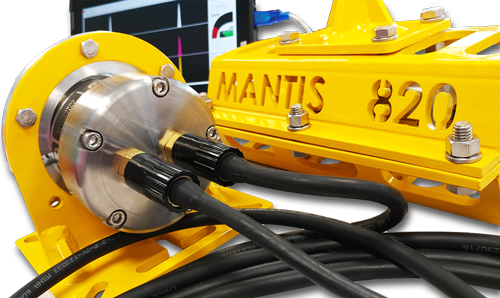 Track transmitters to 3,000 meters with CDI's new MANTIS 820 integrated ROV pig tracking system. 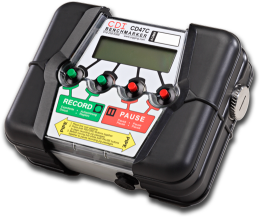 Track transmitters to 8,000 feet with CDI's CD42-STS pig location & tracking system. Can be used with divers or wirelessly with an ROV's cameras. Precision time for any pig passages with optional text and email messaging service LineStat.